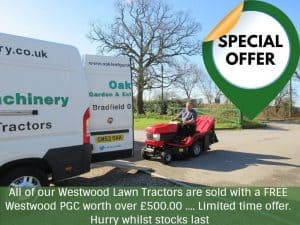 At Oakleaf Garden & Estate Machinery our expert technicians are trained to service any make of lawnmower or ride on tractor, chainsaws, hedgetrimmers and strimmers. Using the latest techniques and diagnostic equipment, committed to providing a straightfoward, friendly and honest service. 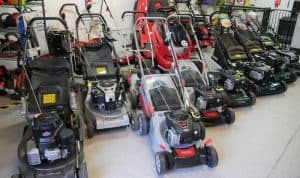 If your mower is still under warranty you will need it serviced to keep the warranty valid, Hayter Harriers 5 years and Alko mowers 5 years. ” Pre-book a slot for your service giving you the minimum of disruption in the cutting season. Normal turnaround at this time of year is 3 – 4 weeks but pre-booked machines will be completed within 5 working days (parts dependant)”. Please phone or email for a convenient date and take advantage of our free local collection & delivery. 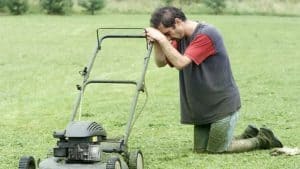 Has your mower lost its Spark?